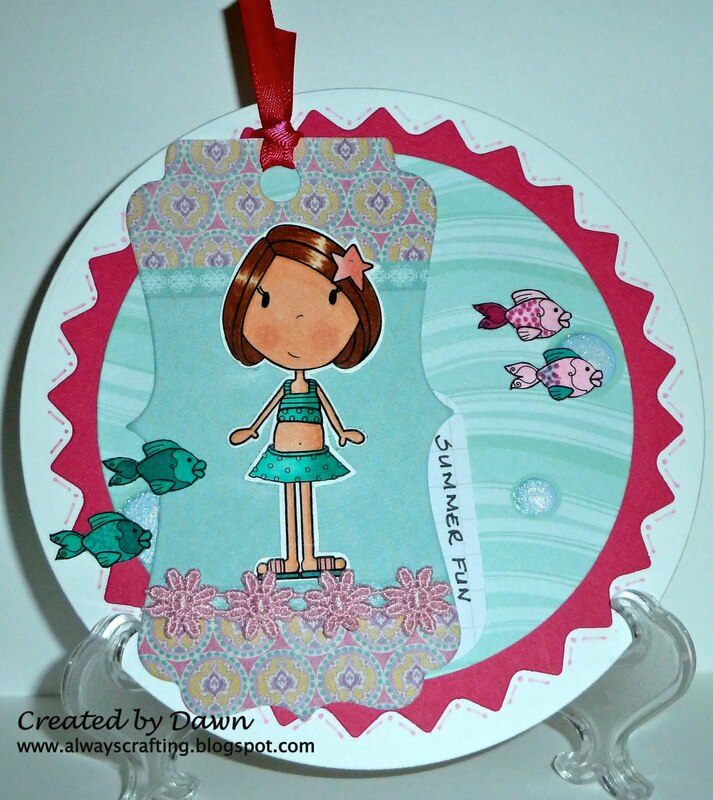 Always Crafting: One Stop Craft Challenge - Tag your it! Well it is July already and the summer so far has been warm and beautiful. I hope you all are enjoying your summer too. Today at One Stop Craft Challenge we are using TAGS. So enter your tag project today HERE! Our sponsor for this challenge is Sweet and Sassy! What a sweet card! Love the colors too.